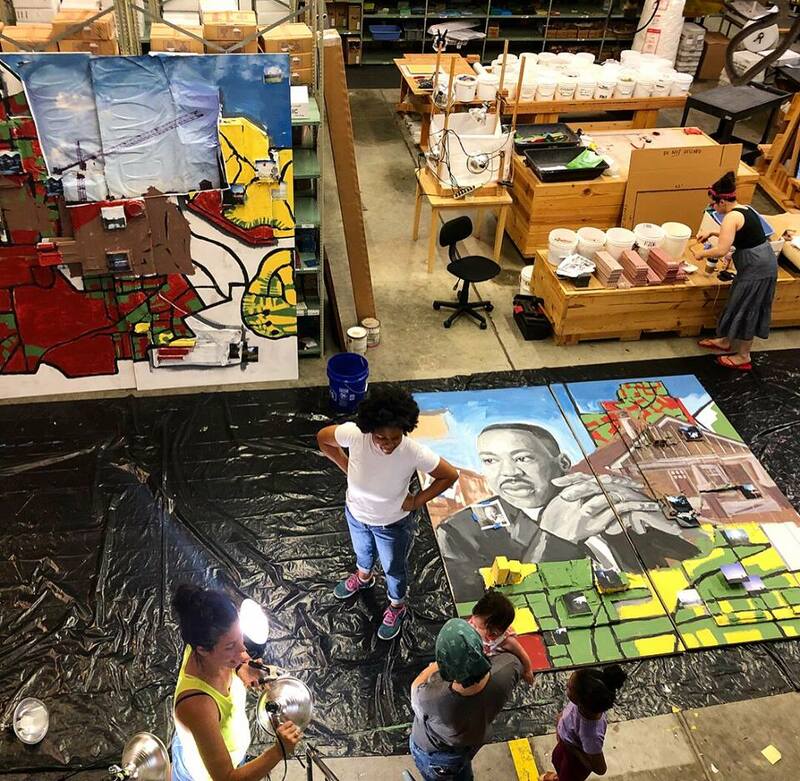 During early 2018, Living Melody Collective created a mural for the Center for Civil and Human Rights that focuses on Rev. Martin Luther King Jr.’s legacy in terms of how Atlanta has changed as a city, especially in regards to homelessness and housing inequality. The creation of the piece functions as an exemplary microcosm of the types of collaborative efforts it will require to build stronger and more equitable communities. Beyond a singular arts-focused process, which included the expert application of gestural paint marks and slick layers of wheat paste, the artists supported one another when a member was delayed, collaboratively cleaned and prepared their spacious warehouse studio, and shared in the care of one another’s children- who roamed in and out of the creative space, giggling, smiling, and always cared for. This dance of teamwork, cooperation, and mutual support is where we can uncover the truest sense of solutions the art suggests, while reflecting on disparities that diminish these opportunities.